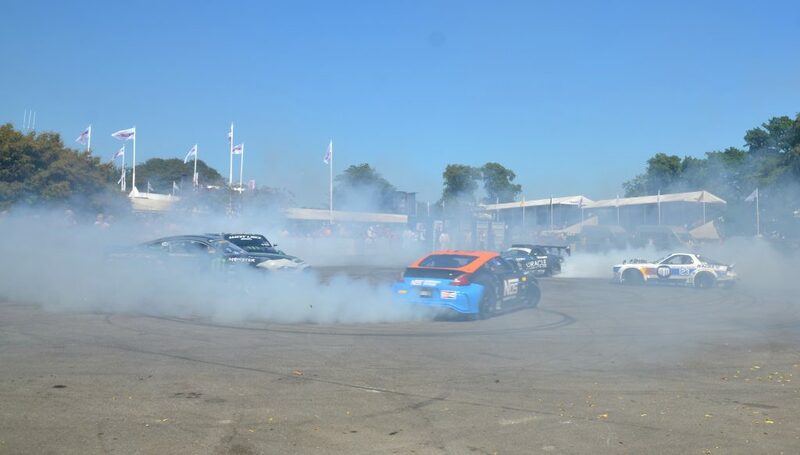 Drifting at the Festival of Speed Silver Jubilee: Goodwood pulled out all the stunts to create a phenomenal show. Having attended nearly every meeting since the very first in 1993, this was the possibly best yet. Nissan 370Z Chris Forsberg and Ford Mustang RTR Vaughan Gittin Jr about to drift. 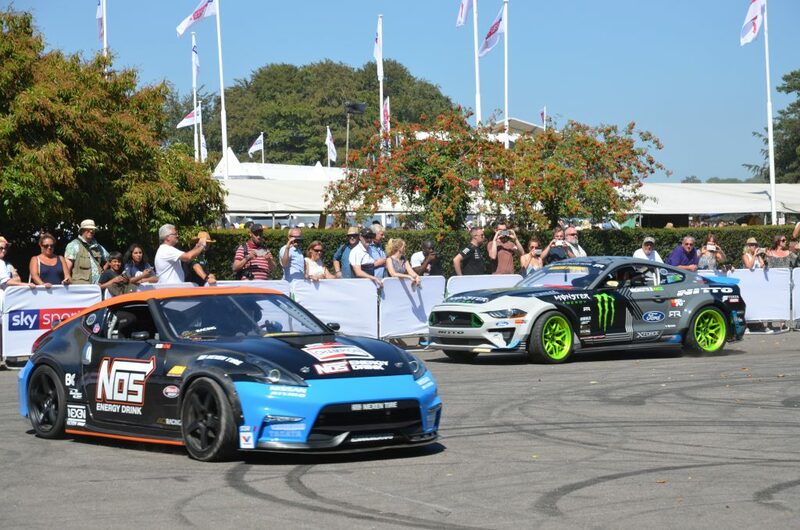 We saw Chris Forsberg in his Nissan 370Z, followed by Vaughn Gittin Jr (2010 Formula Drift Champion) in his Ford Mustang RTR, next came Steve ‘Baggsy’ Biagioni in his Nissan GT-R, then Dean ‘Karnage’ Kearney in his Dodge Viper and last but not least ‘Mad’ Mike Whiddett in the legendary ‘Madbul’ Mazda RX-7, these five cars created a truly spectacular show for the crowds. You have never seen anything quite like this. 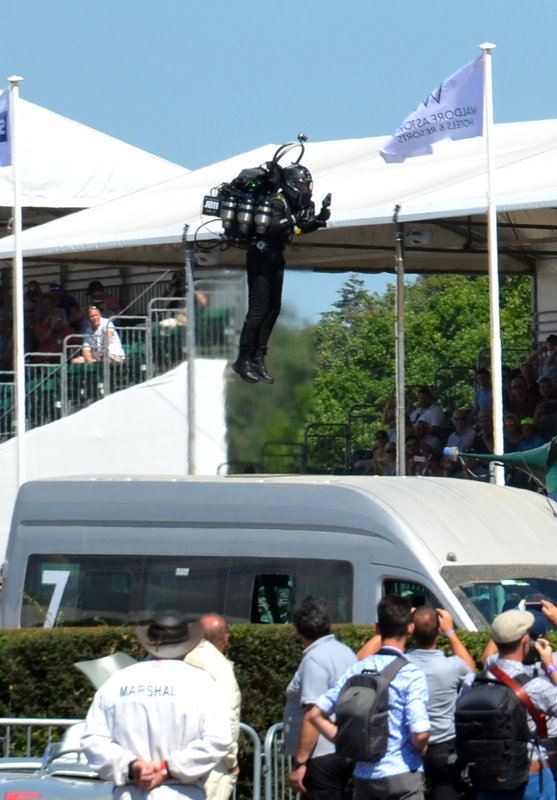 The world’s most advanced 200 mph Jetpack successfully completes its first ever European flight, up and down the hillclimb. Is this the future of personal travel? Photographs and video by Marcia White, Copyright applies.